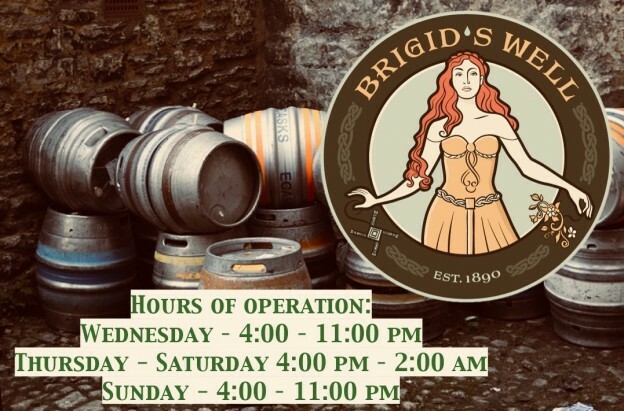 Brigid’s Well Pub is the true Irish pub experience, unusual, authentic and unique. Near the market is a space located in the basement of Saint Brigid’s Centre adjacent to the Kildare Room and accessible via Cumberland Street steps. We hope you will find your way to this is a cosy and intimate space to escape for a drink after work or just to stop in on your way to the market or an evening out with friends. The bar has a selection of draught lagers, beers and cider on tap, plus your favourite bottled beers, wine and soft drinks. The intersection of St.Patrick St.- Cumberland St. – Murray St.
On the last Friday of each month, we will have a pub session (seisiún in Irish) of playing, singing, tune trading, music making, socializing, vigorous jamming, and even some high steppin’ with fellow musicians and popular hosts and a little drink to make a great gathering of people.